To begin Web development you may go through this article first. • Faster and Easier Web-Development. • It creates Platform-independent web-pages. • It creates Responsive Web-pages. • It’s designed to be responsive to mobile devices too. We can also open this file with a browser to see this page. 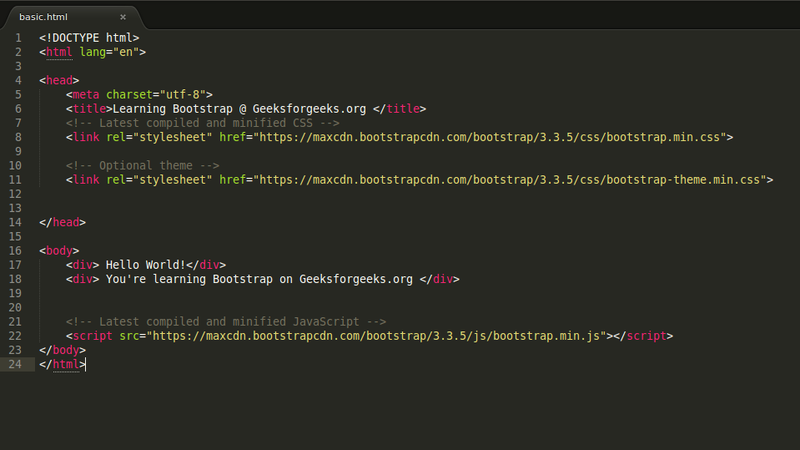 Now,we’re all set to install Bootstrap. 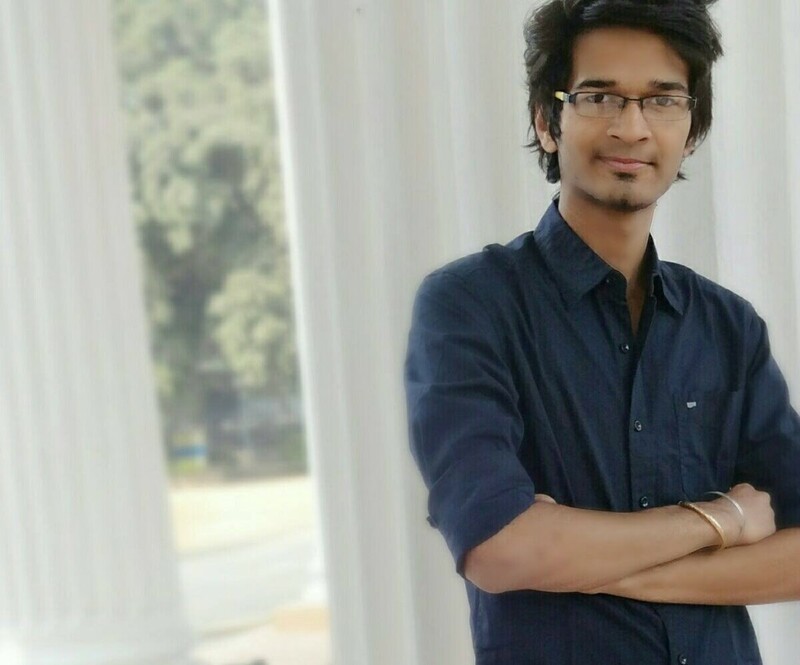 This method of installing Bootstrap is fairly easy but it requires Internet connection. It is highly recommended that you follow this method. 1. Goto www.getbootstrap.com and click Getting Started . Scroll down. 2. Copy the first two paragraphs and paste it in the head section of the html code. 3. Copy the 3rd paragraph from the website and paste it just before the ending the body section of the html code. 4. This is the last step. We need to download the latest jQuery version and copy the link in the body section. 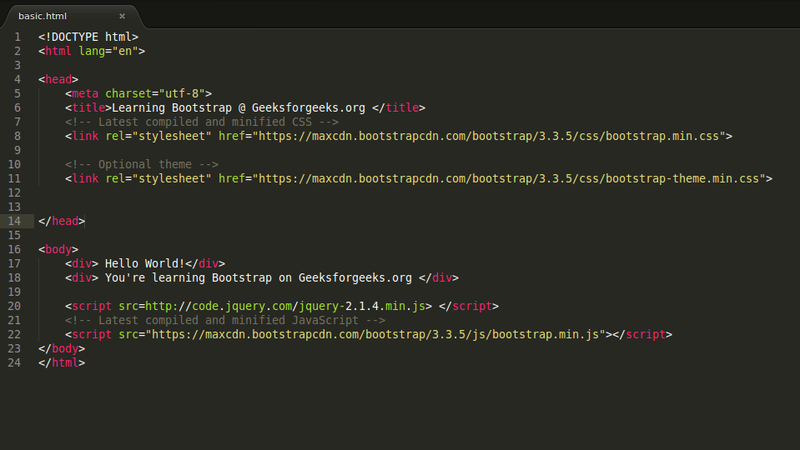 Here, I have the link which need to write before the bootstrap.min.js script. 5. Bingo! You’ve installed Bootstrap on your html document. To see the changes on your document, try opening the page on a seperate tab of your browser and you can easily notice the difference between the two codes. Though, not much of difference can be felt till now, but it would be apparent in the later parts of the article. 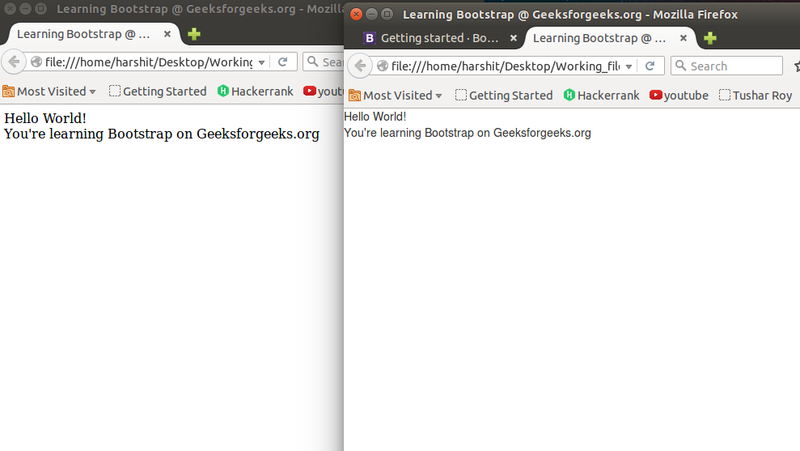 Here, the one on the left is without bootstrap and the one on the right is with bootstrap installed. 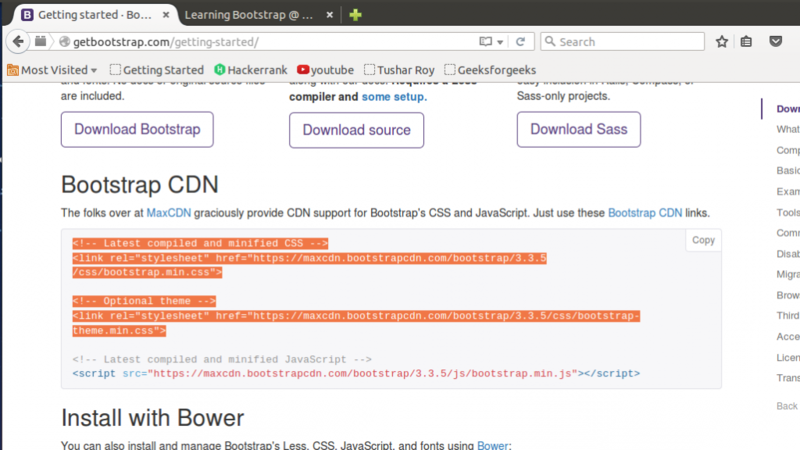 This method of installing bootstrap is also easy but it can work offline ( doesn’t require an internet connection ) but it might not work for some browsers. 1. Goto www.getbootstrap.com and click Getting Started. Click on the Download Bootstrap button. 2. A.zip file would get downloaded. Extract it and go in the distribution folder. You would see 3 folders named CSS, JS and FONTS. You can make your html file there and then you must paste these links in their respective sections. 3. 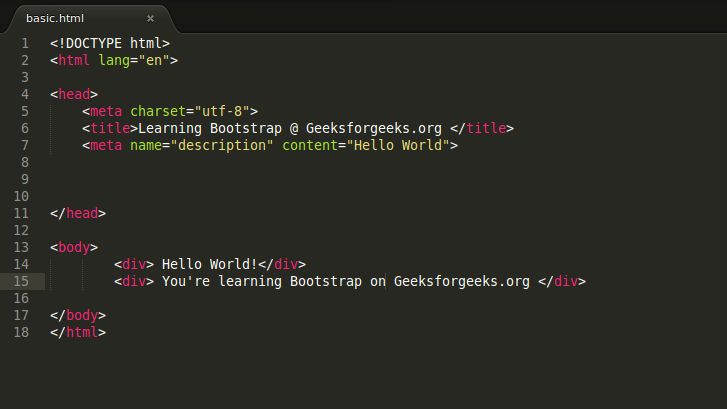 Open the html document with the browser and see the difference which bootstrap makes! This would probably not support for higher versions of Internet Explorer(8+) and for them we need to download additional files which is cumbersome. So, It is highly recommended to follow Method A which is really very simple. 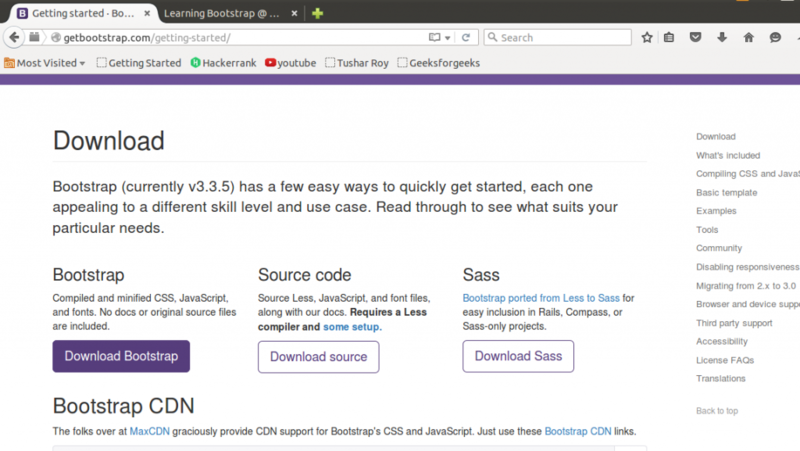 This is just the installation and some basic knowledge on Bootstrap. We will be dealing with the other topics in the next part. Keep Learning!